RMD Foundation has taken a noble initiative towards the health of Jain saints, which is being carried forward by JITO. A unique health card “Shraman Aarogyam” is given out to all enlisted Jain saints wherein they can avail free healthcare services from any of the enlisted hospitals. India registered under the scheme. RMD foundation provides this help at a nominal price. Post-amputation, physiotherapy is also taken care of with the latest machinery and gym equipment. RMD foundation extends financial help to critically ill patients who need major heart, kidney and brain related surgeries. The foundation has so far helped 48 patients. Every year RMD foundation donates 200 bottles of blood and remains committed towards increasing this number every year. As part of the 75th year celebrations of Mr. Dhariwal, over 750 bottles of blood was donated in a single day. Setting a precedent for the first time in Maharashtra, the RMD Foundation conducted an artificial cornea replacement camp across various villages. These camps were fully equipped with required surgical and test facilities. 103 patients were examined at the camp out of which 75 were successfully operated for cornea replacement. 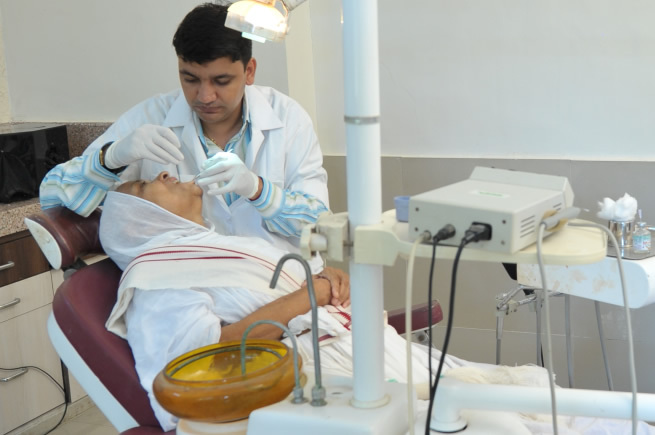 In order to alleviate the ailment of 'Squint eyes' the RMD Foundation launched a camp for the less privileged, during which 225 examinations and 75 surgeries for Squint correction were performed.